A work environment can be extremely stressful when things are going well, but can be unbearable when all is not well. We each want to have a smoothly running life, and that includes our business lives, but sometimes it feels as though we are being pushed and pulled by outside forces. That can make us want to run for our lives. We like to think our lives will be smooth sailing. 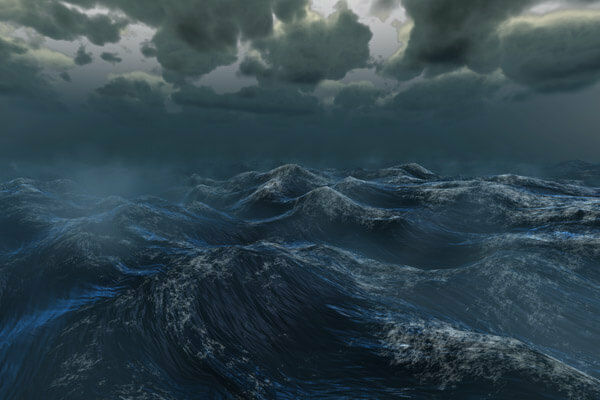 Maybe your voyage started on calm waters, but then conditions turned suddenly and you are caught up in a raging storm, wondering if you should jump ship. Unfortunately, our journey in this life is not often easy. There will be events and unexpected circumstances that will disappoint us, and we will face obstacles, hardships and all sorts of peril that will cause us to maybe lose hope and want to give up. The truth is that we are not promised smooth sailing, in life or in business. Knowing that we will spend the majority of our waking hours and also our adult lives at our jobs, we should strongly consider that the people and atmosphere at work will have an effect on our lives and personality at home. Most people like to stay in the comforts of a stable job, but sometimes life demands that you leave the comfortable fortress for the journey on the high seas, to push us towards the “road not taken” so that we are able to realize our full potential. What ever you decide is best for you, don’t allow bad circumstances to take control of your life. Keeping your head in difficult business situations comes with experience, and you will, at some point, find that you have gained the ability to do what has to be done to keep your business or career moving forward, even in the face of obstacles. The knowledge that you’ve learned how to handle tough situations that arise will greatly increase your self esteem and confidence.